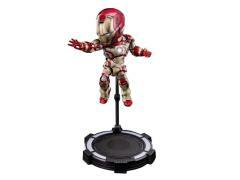 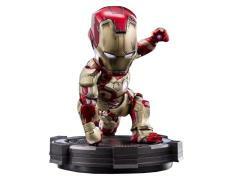 Iron Man Mark XLII Battle Damaged Limited Edition, 999 Pieces World Wide. Herocross and Marvel is proud to present the latest Herocross Hybrid Metal Figuration member, Iron Man Mark XLII (42) Battle Damaged armor from 2013's blockbuster Iron Man 3. 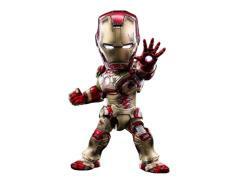 Crafted with DIECAST matel parts and with light-up LED eyes, chest arc reactor unit, a pair of replusor firing hands and display base. 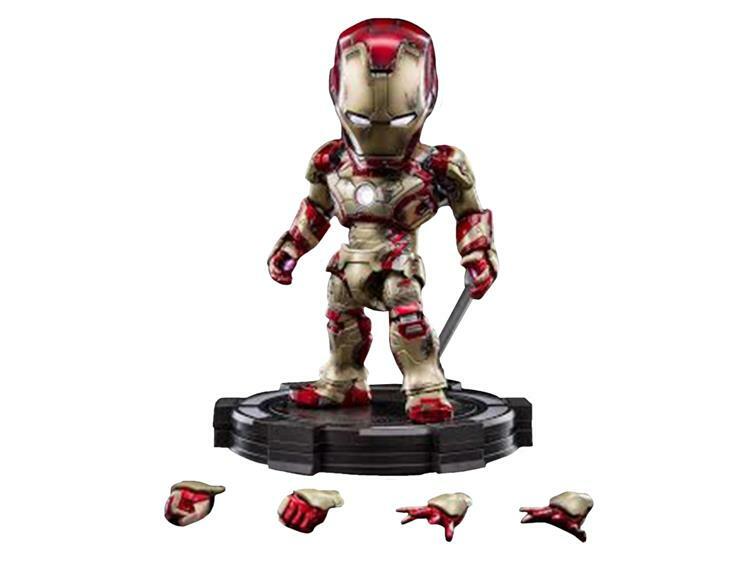 Iron Man Mark XLII (42) Battle Damaged Herocross Hybrid Metal Figuration figure has over 20 points of articulation and stand about 5.5" tall.